I am so excited about the new Cricut Explore Air 2!!! The possibilities are endless with this machine. 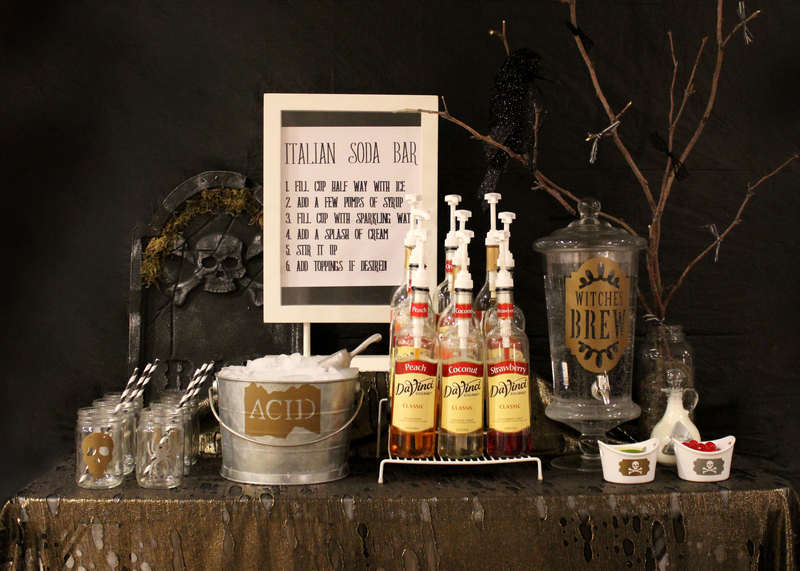 I couldn’t wait to personalize this Italian Soda Bar for my Halloween party!! Take 15 minutes and add the perfect touch to make your Italian Soda Bar, spooky and fun!! Read on to see how I created this look and my review on the Cricut Explore Air 2.
Who doesn’t love an Italian Soda?? 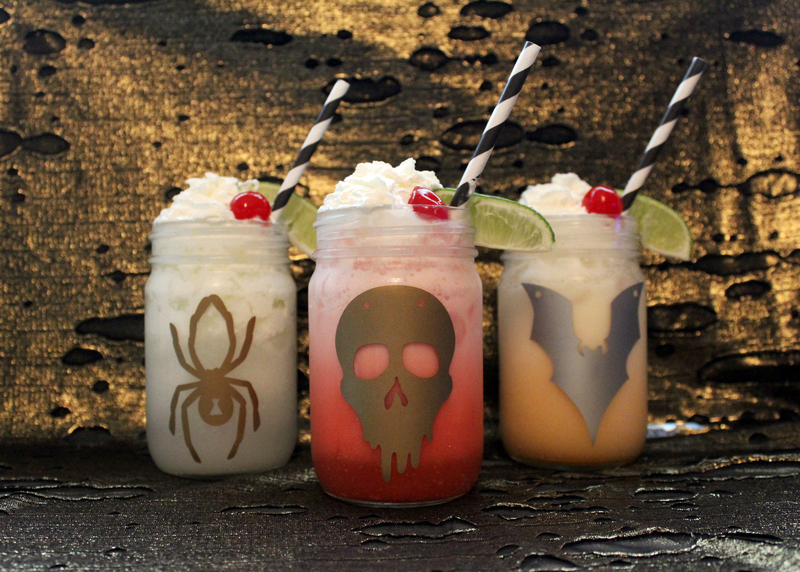 I know I do and I’m serving these up at my Halloween party next week!! 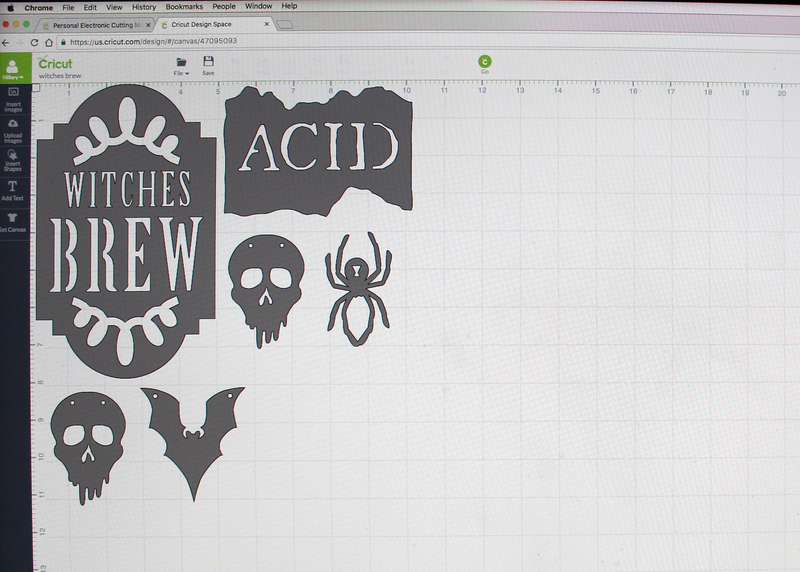 To get started on personalizing your party you will need the Cricut Explore Air 2. You can get yours –>HERE . First of all, I love the new colors that the Cricut Explore Air 2 come in. My favorite is this darling, mint green!!! Seriously, it’s my favorite color and I was so excited when it came out!! This machine is beyond beautiful and I love the shiny chrome finish on the inside!! 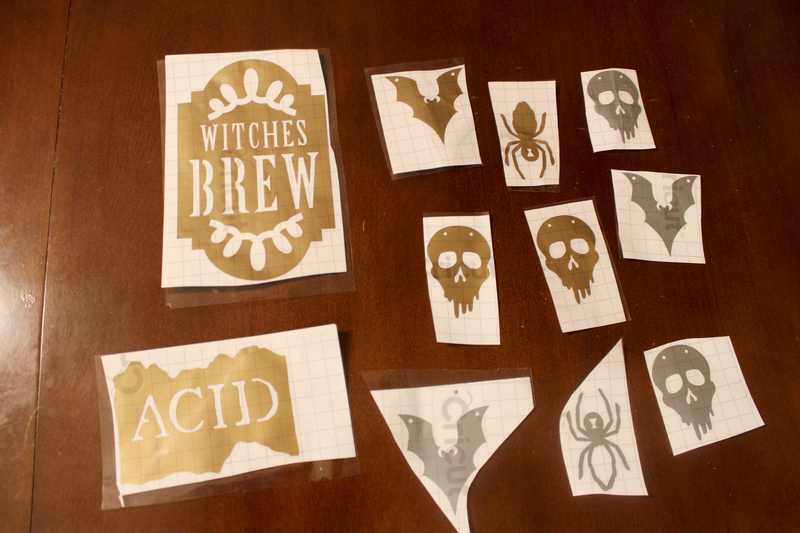 I received a package of metallic vinyl and I instantly thought of a Gold and Black color scheme for Halloween. 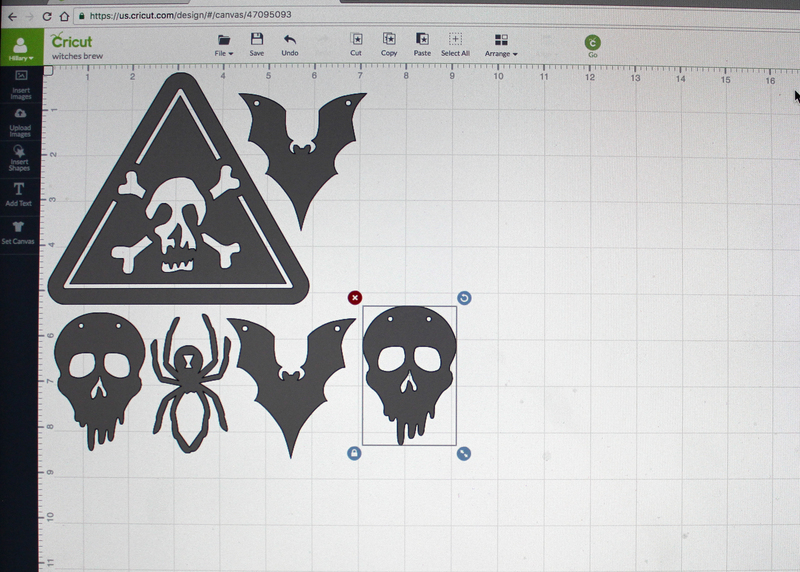 I first started in Cricut Design Space and searched Halloween. There were tons of images that came up. I picked a few of my favorites and added them to my canvas. Here you can resize them easily by dragging the corner. 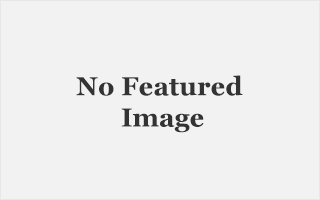 There is a ruler that comes up and shows you the exact dimensions of your image. I measured my jars and containers that I would be using and adjusted them to the correct size. I made one sheet of the gold images and one sheet of the silver images. Pressed cut and the machine did its thing!! After all my images were cut, I used Cricut transfer tape to easily remove the vinyl from the backing. Cut them all apart and then added them to my jars and containers. I was able to take my Italian Soda bar from this… To this in 15 minutes!!! How easy and quick was that?!! 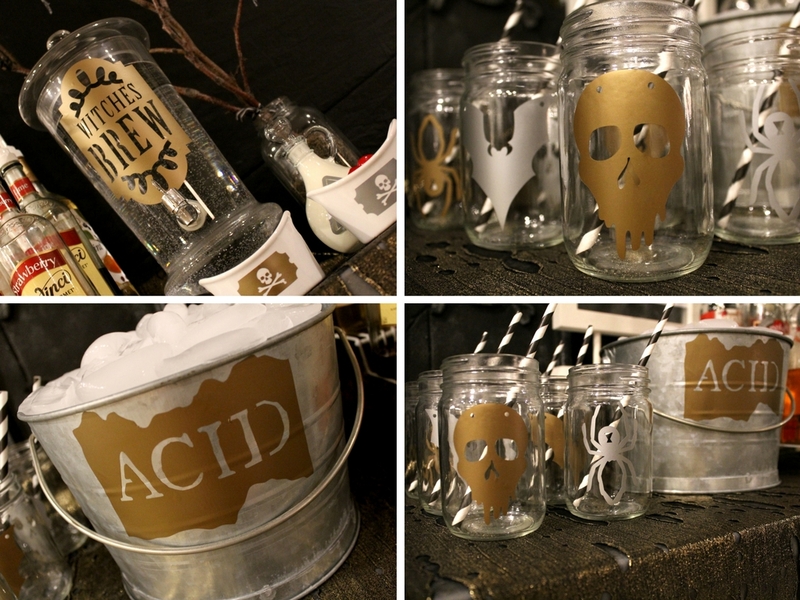 It made such a huge difference and really added a fun touch to the party!! Here are some up close details! 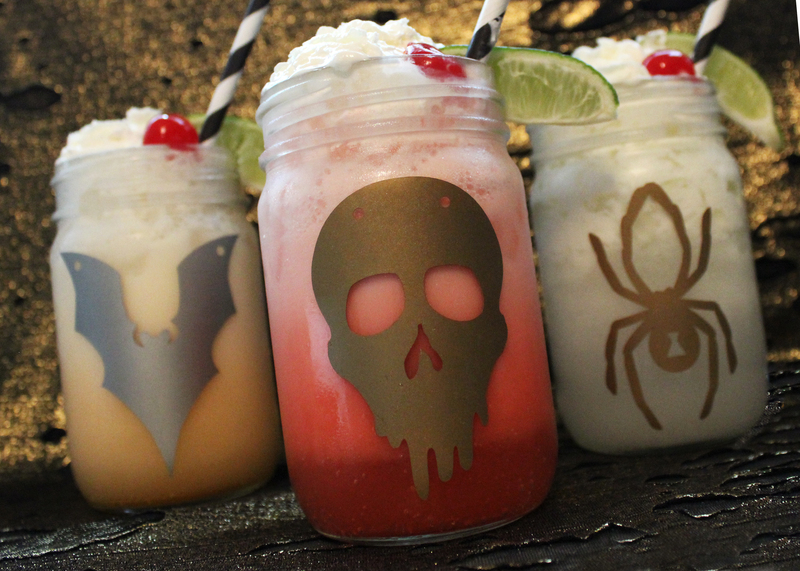 Look how fun the Italian Sodas looked all made up with the cute jars!!! This was so much fun!! The Cricut Air 2 was so easy to use. I was worried about cutting the vinyl just right but the dial on the machine had it already set perfect and all I had to do was turn it to the vinyl setting!! Cricut design space was also pretty self explanatory. I was very surprised with how user friendly it was. For my first time using design space and the Cricut Explore Air 2 machine. I was so impressed with how quickly my party came together and can’t wait to get started on my next project. I loved the machine. 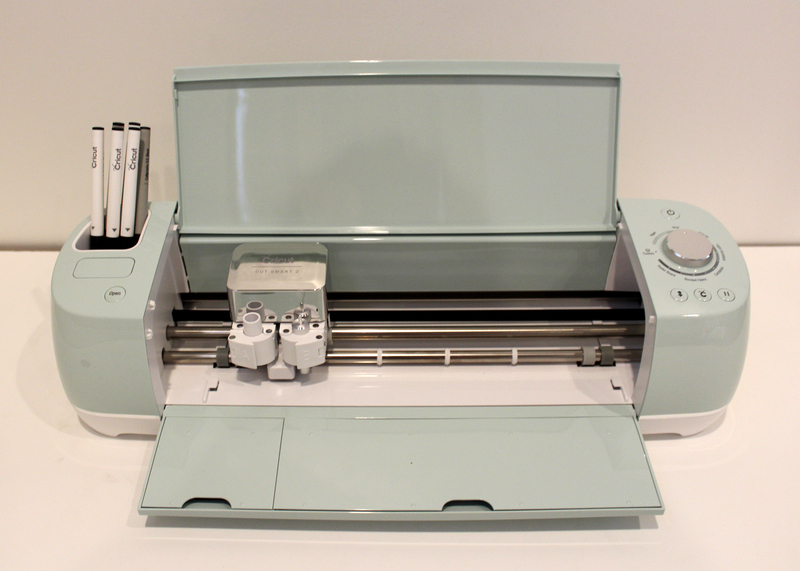 Get the Cricut Explore Air 2 machine and more information –> HERE and get started on all your projects!! I love this. What a fun idea!